This stunning raan masala recipe is delicately smoked with charcoal and cooked in a rich masala sauce, the ideal feasting dish for a special occasion. 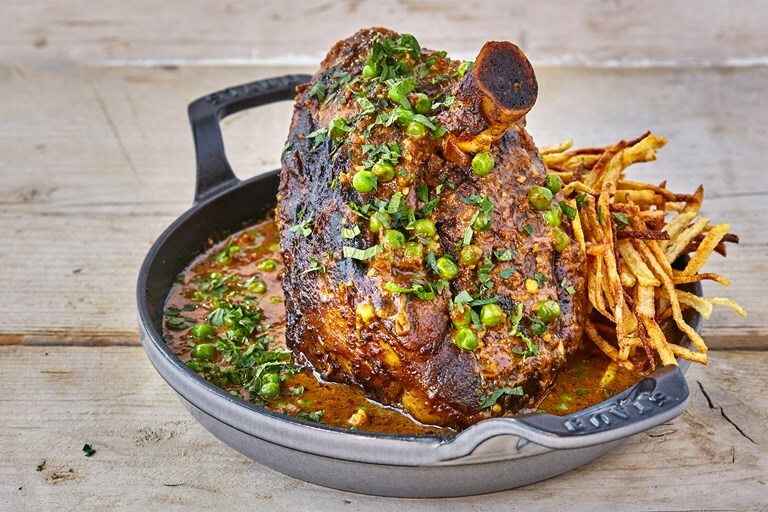 The leg of lamb is served with crispy shoestring fries and peas for texture and colour. Naheed Hafiz holds a master’s degree in Environmental Law and teaches the subject as a visiting faculty. She has a passion for cooking from her school days where in she took up cooking as a subject for her hobbies class.